A revocable living trust has many purposes. One of the popular reasons they are created is to avoid probate proceedings at the death of the trust creator. However, this purpose fails if proper titling and beneficiary designations are not created. In past articles here on my blog and my law firm's blog I have discussed the importance of asset titling and beneficiary designations. The simple rule of thumb is this: if you fail to title, your trust will fail to launch. As an estate planning attorney, nothing is more frustrating than watching perfectly well drafted trusts fail due to the failure to title assets properly. The titling process is as important in creating an estate plan as the plan documents themselves. In the article below, this issue is again discussed. I encourage anyone considering estate planning or who already has a plan to review this article. Let me know if you have titling questions or any other questions about estate planning. Thank you. It's true! Estate planning really is the best gift and here I'll discuss four reasons why. Now I know what you may be thinking, "here he is again, that estate planning attorney from Castle Rock, telling me about the benefits of estate planning"! And you know, you're right, but not for the reasons you think. You see, estate planning is not only beneficial, but is a gift to your family that is so significant, that all other gifts combined pale in comparison. Let's see why. 1. Estate planning never stops giving. One feature of an estate plan is that it never stops giving--it never stops protecting you, your family and your loved ones along with your assets and property. While you want to keep your plan current and update it due to changing family circumstances or needs, it is always there. More on that part below. 2. Your estate plan is the best way to protect yourself. As I have discussed in prior articles, one important purpose of your estate plan is to protect you in the event of unplanned illness, disability or death. Since your estate plan protects you against these risks, it makes your estate plan one of the best, if not the best way to protect yourself. This is done with Powers of Attorney and medical directives and Living Wills. 3. Your estate plan is the best way to protect your family. Our families rely on us for all sorts of things. In fact, for many families, it is not possible to even list all of the things that we are relied on to provide. Financial support, emotional support and others are the just the beginning of the ways you support your family. When you create your estate plan, you can provide this support to your family when they most need it---when you are not available! Nothing else can provide this protection to your family. Your estate plan does this with Wills, Trusts and other estate planning arrangements. 4. Your estate plan allows you to control the future. Yes, it's true, your estate plan can control the future. The truth is, the future is uncertain and no one can know what it will bring. What your estate plan can do is allow you to control the outcome of events in the future that are difficult to predict or project. For example, we don't know if an unplanned near-term disability is in our future. But if it does happen, your estate plan can control how you are treated and cared for. Your estate plan is the only way that the outcomes of an uncertain future can be controlled. No other gift provides these four benefits which is why I am suggesting that estate planning is the best gift of all. What do you think? Please join our conversation and share your thoughts on this topic. Thank you. Is the End of the Year the End of Estate Planning as We Know it? Is the End of Your Estate Plan? First, let's review what happens at the end of the year. The three major tax exemptions used in estate planning, estate tax, gift tax and generation skipping transfer tax all revert from $5 million to only $1 million starting January 1, 2013. Much of what we do in estate planning is built on these three exemptions. However, I don't think it is the end of estate planning as we know it. Since we don't let the tax tail wag the family dog, what this will mean is that millions more will be doing more complex estate plans since the exemptions will be significantly lower. So for us estate planning lawyers that will be good! For the clients,not so much. We will still do estate plans for the same reasons as before: to protect our clients, their families and their property. But starting in 2013, millions who had no estate, gift or generation skipping tax concerns will now have them--in spades. If you didn't do estate tax planning previously because your estate was less than $5 million, you may have to do so now. If you had a plan that used your estate tax exemptions, it just won't work as well for your family with the much lower exemptions starting in 2013. What should you do? Have your plan reviewed immediately. Next, write your Congressional representatives and Senators and tell them how you feel about this. Maybe your voice will make a difference. We recommend to all of our clients to not depend on politicians to solve your families' estate plan issues. Don't do it now. And maybe, just maybe, Congress and the President will come to their respective senses and fix this with some finality and permanency so you can have some certainty knowing that your estate plan will operate the way that it is supposed to. But don't count on it! Do You Know How Your Estate Plan is Affected by the Upcoming Elections? These five impacts could destroy your family's plan! If you haven't been following the on-going debate about federal estate tax policy, you may not be aware of how much the upcoming election affects your estate plan. The impact may be greater than you think! 1. If your estate plan is based on the federal estate tax exemption it will severely impacted since the exemption drops from $5 million to $1 million on January 1, 2013. You will want to check your plan to make sure this drop doesn't negatively affect your family and property. 2. If your plan relies on the exemption against the generation skipping transfer tax, it requires immediate review. The GSTT exemption also reduces to $1 million on 1/1/2013. 3. If you are using the exemption against the federal gift tax to eliminate or reduce gift taxes on large gifts, your estate plan is severely affected by the reduction in the gift tax exemption to $1 million on 1/1/2013. 4. While these exemptions may seem large, when you count your life insurance, IRA's and pensions as part of your taxable estate, they are not overly large, especially come January 1, 2013 when all these exemptions are reduced to $1 million. Many of my clients feel like their estates are modest until we sit down and add up things like life insurance death benefits. 5. If your plan relies on a mandatory allocation at the first death to a family or exemption share trust, your plan is being controlled by whatever Congress does with the exemption. With the drastic reductions in these three exemptions coming January 1, 2013, how you thought your estate plan works is no longer the case. Whether the Congress and President may fix this estate planning asteroid is the subject for other articles and I make no prediction here about that. However, the results of this upcoming election could have significant bearing on the direction that politicians decide to take our estate tax policy. While this may be positive or negative depending on your political leaning, there is little debate that leaving your family's security to the the whims of politicians is unwise. To learn how these upcoming changes may affect your family, please leave me a comment here, or send me an email to: bgreenberg@kgattys.com or give me a call. As always, thank you for your interest! If you ever wondered why estate planning can be difficult, one reason is the ever-changing estate tax laws. These changes are a result of political in-fighting in Washington and not the result of tax policy. In this brief article, the AICPA describes nicely why a permanent fix to our federal estate tax laws is critical. Without a permanent, or even semi-permanent estate and gift tax exemption, estate planning, at best, can only be temporary for clients. This forces many clients to opt for solutions that run counter to how they would plan if the exemptions were fixed. What do you think about this issue? Is this something that you care about. I hope that everyone becomes interested in this due to what happens with your exemptions on January 1, 2013. Unless Congress and the President agree on a fix for this, your estate, gift and generation skipping tax exemptions are reduced on that date to $1,000,000. This is significant since that number is about 460% less than the exemption was back in 1987 when adjusted for inflation. I look forward to your questions and comments. Thank you. A View From the Estate Planning Trenches-Big Surprises Ahead for the Unprepared! Many things are happening in the world of estate planning. Much depends on our elections in November, and I'll have more comments about that in the future. Here in the estate planning trenches, I thought I would share some things I have noticed recently you might have missed. First, I hope you noticed that my law firm has merged with another law firm. The new firm is called KOKISH & GOLDMANIS, P.C. It is very exciting, we have a busy and vibrant office with some of the best lawyers around. It is wonderful for me to be able to continue my work specializing in estate planning and estate and trust administration, while also being able to offer a whole range of other legal services to my clients. Simply put, if you need a lawyer for anything, call me and I'll get you to the appropriate person who can handle your case. Second, I am seeing an alarming number of people who either don't have a Will or estate plan of any type, or who haven't reviewed existing documents for a very long time. Since National Healthcare Decisions Day (NHDD),is April 16th, this is surprising. If you don't have documents, or don't have your plan yet, it's time to start. Third, National Healthcare Decisions Day (NHDD), is April 16th. This day is sponsored by DocuBank and is all about making sure that your healthcare decisions are known and are carried out should something happen to you. It's about protecting yourself and not placing an undue burden on your family if you haven't communicated your wishes. Call me at 303-688-3535 and I'll help you get started. Fourth and last, pretty much everyone I speak with is ignoring the estate tax asteroid aimed at them come January 1st of 2013. Under current law, millions more Americans will become subject to a 55% federal estate tax unless Congress and the President come up with a new solution. Whether that will happen is a subject for another article. For us, it means that if you rely on politicians to protect your assets and family, you are at risk. Again, call me and I can point you in the right directions to see how this tax law impacts you. So that's the current view from the estate planning trenches. What do you see from your spot? Let me know, and please feel free to join our conversation, I look forward to hearing from you. Thank you. Many clients ask, "How can I tell if my estate plan is current?" Here are four things to check. If ANY of these apply, then your plan is seriously out of date and requires some immediate attention. 1. You don't have an estate plan. This one is obvious and requires no further comment. 2. Your estate plan is more than two years old. Since the laws change so frequently, and client's situations change, reviewing the plan every two years or so is crucial to ensuring that the plan stays in sync with your goals and objectives. 3. Your plan does not include Durable Powers of Attorney. Since it is possible to become incapacitated without dying, having Durable Powers of Attorney is the way to protect yourself. 4. 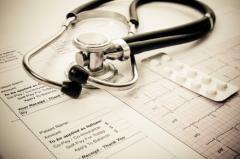 Your plan and Powers of Attorney does not address HIPAA. Making sure your plan appoints a HIPAA Personal Representative, especially in the Durable Powers of Attorney will ensure that your designated agents can speak with your doctors and other medical personnel if you are incapacitated. 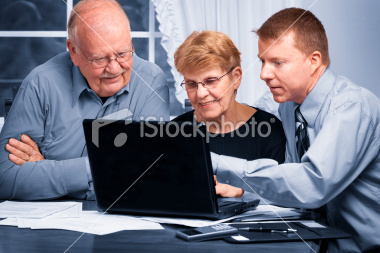 There you have them: the four ways to know that your estate plan is out of date and needs a review. Let me know if you have questions or comments and feel free to join our conversations about estate planning. Here is an article from Is That Legal that has some useful tips on protecting yourself from identity theft. Let me know what you think of these tips. Resolutions: We Start the Year with Them, How Are Yours Coming? One of the most common New Year's Resolutions is to finally do a Will or estate plan. Because of this, there is always an uptick in calls I receive from people with questions about Wills. Here are several of the more common recent questions with my responses, maybe you've thought about similar questions too. 1. How much do Wills cost? This question is more complex than you may think since each Will and each client is different. 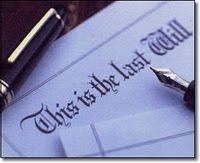 There are many different kinds and varieties of Wills, each one, if done properly, is custom designed for each client. The only way to learn about the costs of a Will or estate plan is to have an estate planning assessment with an attorney who specializes in estate planning. This assessment meeting should be low cost and you should receive credit for the cost of the meeting against the fee for doing the Will. 2. Can't I just do my own Will on the internet? As many of you know already, I have written several articles on this very topic! Yes, you can do your own Will, but in most cases, you will be disappointed with the result. The reason that internet and fill-in-the-blank Wills don't work is that they are not designed for any one person. They are generic and non-specific, the reason they can apply to everyone is that they don't apply to anyone! Additionally, do it yourself documents carry legal consequences that can create traps for you and your family. For the most part, you will be better protected and your family will be safer if you have your documents prepared for you by a qualified attorney who specializes in estate planning. 3. Is a Will enough or do I need more? A Will alone is never enough for ANY client. This is because your Will is valid only if you die. Your Will does NOT apply if you are sick, or become disabled or incapacitated. This is why I recommend that every client add the following documents, at a minimum: a)Durable Financial Power of Attorney; b)Durable Medical or Health Care Power of Attorney; and c)Living Will. These additional documents are necessary to protect you if you are incapacitated because your Will does nothing while you are alive. 4. I have a Will already, how do I know if it is current? Any Will or estate planning document should be reviewed periodically. You should plan on doing a review with your attorney every two years, or if something significant happens in your life. Examples include: births, deaths, divorces, marriages, moving to another State, changing careers etc. The best way to think about such changes is if the change is significant, it's time to review your Will. Additionally, the laws change from time to time and these changes can cause potential problems with your documents. If you read or see something about changes in the law, or receive a notice from your lawyer about them, then it's time to schedule a review meeting. If you have a question not addressed here, or simply want to join our conversation about Wills and estate planning, just let me know, all questions are welcome! New years are great for resolutions and one of the most popular ones is the decision to finally complete your Will and estate plan. But how do you get started and what steps do you take? Here are the steps to consider to make sure you get the job done right and on time. 1. 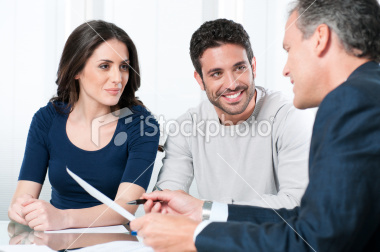 Make an appointment with an estate planning attorney. Use someone who specializes in estate planning. There are articles below about how to select the right attorney for you and your family. Do a thorough initial meeting. I call this the Estate Planning Assessment. Leave with a clear idea of what you should do next. 2. Follow up by proceeding with your plan. It won't help to get the recommendations of the expert and then to not followup. So after you have the recommendations, proceed by scheduling whatever meetings are necessary to complete your plan. You should be complete in several days or just weeks depending on your particular situation. 3. After you sign your plan and all documents, complete your titling and beneficiary designations. Completing your Will and estate plan is great, but those documents won't work as designed if you have titles and beneficiary designations that are not linked to and synchronized with your plan. This step is critical to your plan working properly. 4. Remember to review your plan periodically. Even the best plans need some periodic attention. Laws change, family situations change and our assets change. By doing periodic reviews, you can keep everything current and up to date. By following these four steps, you can protect yourself and your family with the proper estate plan and Will. Good luck and let me know if you have any questions.